Colton Bankert was born premature and spent 17 days in the neonatal intensive care unit. Three-year-old Colton Bankert will serve as the 2019 March of Dimes ambassador for Darke County. 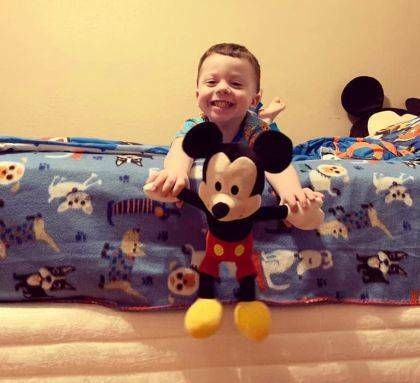 GREENVILLE — A 3-year-old Arcanum boy who was born six-weeks premature has been selected as the 2019 March of Dimes Darke County ambassador. In 2016, Brittany Bankert and her husband, Daniel, were adding to their family. 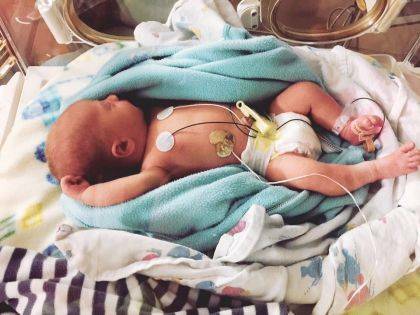 But their baby Colton arrived at only 34 weeks, weighing 5 pounds and 8 ounces pounds. Brittany Bankert’s water broke unexpectedly, and she was admitted to Kettering Medical Center. Colton was born just six hours later that day but would end up spending 17 days in the neonatal intensive care unit. During his stay, he was diagnosed with jaundice and low birth weight. March of Dimes gives 4 million babies born each year the best possible start. Nearly half a million of them, like Colton, are born prematurely or with birth defects. Premature birth and its complications are the largest contributors to infant death in the United States, and pregnancy-related death has more than doubled over the past 25 years. From advocacy to education to research, March of Dimes is working to level the playing field so that all moms and babies are healthy. The March for Babies community bands together to fight for the health of all moms and babies. The group raises funds and awareness so even the toughest problems can be solved. In Darke County, March for Babies will take place at 8 a.m. May 4 at the Darke County Fairgrounds. Individuals can register at marchforbabies.org. Individuals also can donate directly. March of Dimes leads the fight for the health of all moms and babies. It supports research, leads programs and provides education and advocacy so that every baby can have the best possible start. Individuals can visit marchofdimes.org or nacersano.org for more information, visit shareyourstory.org for comfort and support and find the group on Facebook and follow on Instagram and Twitter. The 2019 March for Babies is sponsored nationally by Kmart, Famous Footwear, HCA, Cigna and regional sponsor Publix Super Markets, Inc. In the local community, March for Babies is sponsored by and Greenville Technology Inc. and Wayne HealthCare.